Hello, ALL! Welcome to 2014 (a little late, I know). With the new year, I’m already making my 2014 quilt list. Which of course is already too long to accomplish, but we can all dream, can’t we? 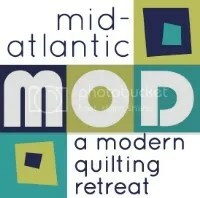 So, what quilts are you hoping to tackle this year? I know that my 2014 dream quilt is the Gypsy Quilt, and I truly hope I can accomplish this quilt for myself. I’m sure with the quilts you share, I’ll be able to add a few more to my to-do list. OMG – the concept of making a list or thinking ahead is so foreign to me – LOL. I will be happy just to make something-anything this year, with all my traveling and teaching. I just finished teaching in Chicago (yes, in 20 below zero weather) and am on my way this afternoon to Paducah for 5 days for a SEWING VACATION!!! Visiting my friend Helene and I plan to sew and laugh and hope to get something at least started and on the wall! Hoping to do some sewing when I am in Fla for 2 weeks later this month, but after that — I just hope to finish what I have started.